A bridge is a structure built to span physical obstacles without closing the way underneath such as a body of water, valley, or road for the purpose of providing passage over the obstacle. There are many different designs that each serve a particular purpose and apply to different situations. Designs of bridges vary depending on the function of the bridge, the nature of the terrain where the bridge is constructed and anchored, the material used to make it, and the funds available to build it. Each year our project will be given an obstacle that we have to build around. We have the ability to build any bridge we want to , but it has to be built within a certain time frame as well as hold up against the challenges it will be presented. This year's competition requires a bridge with a span of 19.5 feet, clearing a 6 foot 6 inch river. With requirements on member dimensions, overall height and width, footing placement, the design is carefully complete so the bridge is not disqualified before loading, a common issue for past teams. The bridge is also designed in order to carry vertical loading of 2400 pounds, place at two different locations, and to withstands a lateral load of 50 pounds at the center of the bridge. 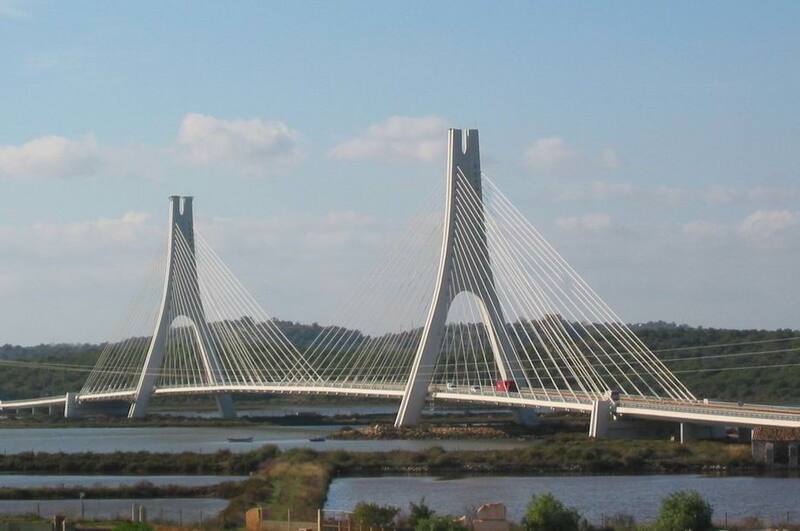 Sway and deflection is measure on these load tests, and as long as the bridge does not surpass the limit, the design is successful.